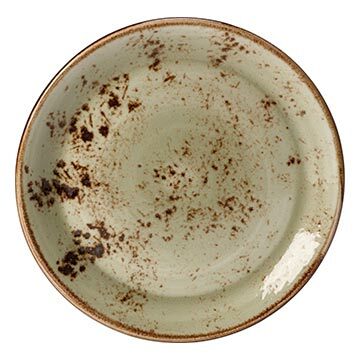 Steelite's Craft Green dinnerware pattern is inspired by hand-crafted, simple country wares made by generations of potters from years past. The design of this pattern embodies the beauty of hand-applied glazes and embraces chance reactions which occur naturally in the kiln. The gem-like glazes married to simple forms and shapes produce unique and individual appearance, giving the pieces in this pattern a a rustic, yet bold appeal. Lifetime Edge-Chip Warranty.